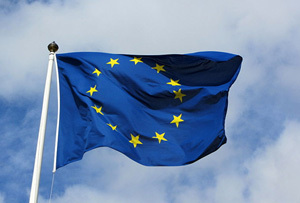 European leaders are busily thrashing out plans to integrate financial oversight. But not everyone is optimistic. Looks like David Cameron’s Christmas wish has come true early: a new agreement among European governments means that if a bank in the Eurozone fails, the UK government won’t have to pick up the bill. Marvellous. But critics are worried there’s a risk that unless governments roll up their sleeves and get stuck in, the eurozone could enter a ‘doom loop’ between poorly-capitalised banks and poorly-capitalised governments if it doesn’t do something to protect itself against banking failures in the next decade. (MT entered its own doom loop this morning, but that’s related to the performance of South West trains). This is all to do with a decision reached sort-of-yesterday, sort-of-today, sort-of-tomorrow, over European banking supervision. Euro leaders will spend the next two days trying to sign off new legislation that would merge power to oversee banks’ behaviour. Unfortunately, all the signs point towards two days of fevered negotiation before anyone can hit the eggnog and begin their Christmas break in earnest. As with all these things, the hard part has already been done. After months of discussions, the new measures come in three parts, the most important of which is a resolution fund – a safety net for failing banks. Germany’s finance minister, Wolfgang Schaeuble, put his foot down and prevented a taxpayer-funded backstop (which makes Schaeuble David Cameron’s favourite Christmas elf). Instead, he conceded on a bank-funded one – but that won’t come into effect until it’s reached €55bn (£46bn) in 2025, leaving Eurozone banks unsupported for a decade (hence the doom loop). Measure number two is a common supervision authority – essentially, the European Central Bank will be given new powers to oversee banks’ behaviour, although it will have to work with sovereign authorities. (You could argue that Europe is following in footsteps of none other than George Osborne, who decided a couple of years ago to move banking supervision from a government body – the Financial Services Authority – to the Bank of England). Thirdly, there’s a common deposit guarantee, which means anyone with up to €100,000 in their bank account will have their savings guaranteed by a common fund. It’s clear finance ministers aren’t entirely enamoured by the plans: they’re still determined to hold on to that power to oversee their own banks. And when you take into consideration that RBS cost £45bn to bail out, Schaeuble’s €55bn fund seems a bit… pathetic.